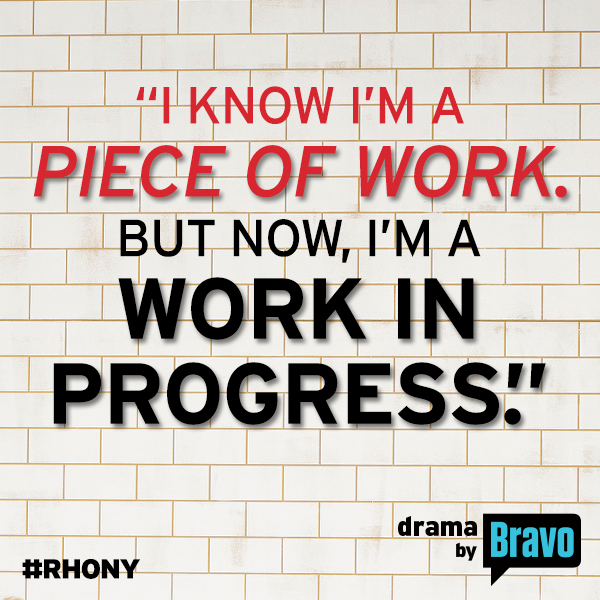 I am so happy to return to season 7 of RHONY. I can’t believe it !!!! This season will be about the three f’s: feisty, fun and of course lots of fights ! at least some of us do. I know I have become humble with what happened with the ending of my marriage. My walls are dropped and I show myself more. I am more receptive to what is happening around me. I am a work in progress and excited for my new beginnings.